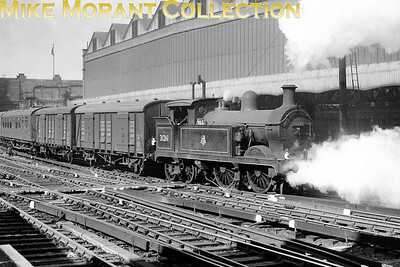 This gallery contains images of South Eastern & Chatham Railway tank engines from the design tenures of Stirling, Wainwright and Maunsell and even at least one pre-Stirling example. 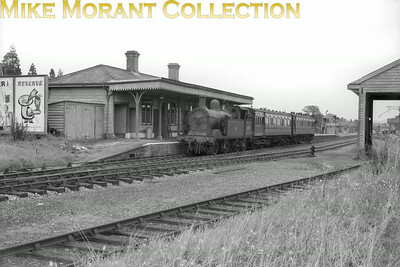 The SECR was, of course, an amlagamation of the SER (South Eastern Railway) and the LCDR (London Chatham & Dover Railway) hence the inclusion of designs from both those systems. I'm always on the qui vive for more material to augment this part of my collection. 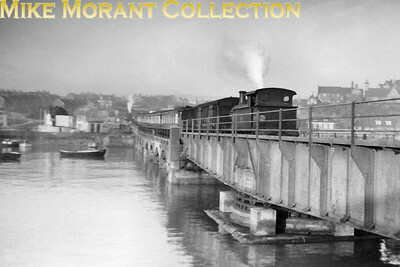 Please contact me via the Add comment button at the bottom of the image page if you have anything available. 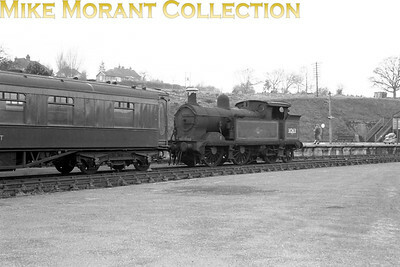 SECR Wainwright 'H' class 0-4-4T no. 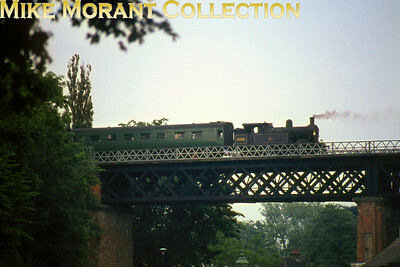 31005, a Tunbridge Wells Wets engine at the time, traverses Oxted viaduct on 15/6/63. 31005 hadn't long left on this earth being withdrawn only three months after this shot was taken. 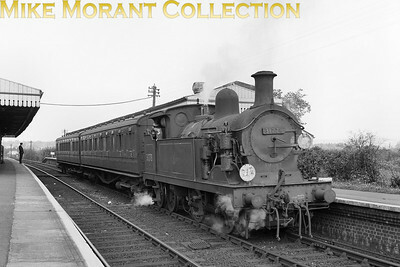 Stirling ex-SER R1 0-6-0T No. 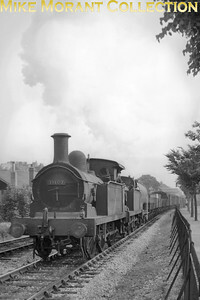 31107 and a cut down class compatriot double-head a goods train at sometime in 1958. 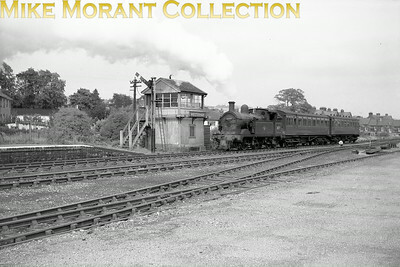 An interesting contribution from David Woodcock: "Both locos are working very hard and I suspect that the location is where one might expect to find R1s in multiple heading a train - the Folkestone Harbour branch. 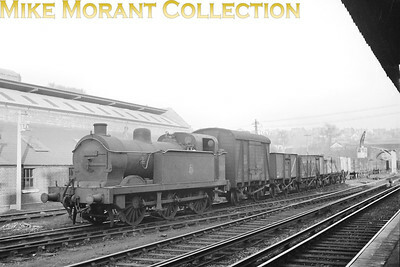 The first wagon appears to be an (empty) oil tank wagon for ship's bunkerage and, perhaps surprisingly, there was still a thrice-weekly cargo service between Folkestone Harbour and Boulogne using TSS Whitstable (in her last year in 1958) and TSS Deal." 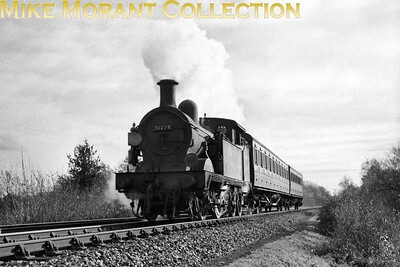 Wainwright 'H' class 0-4-4T no. 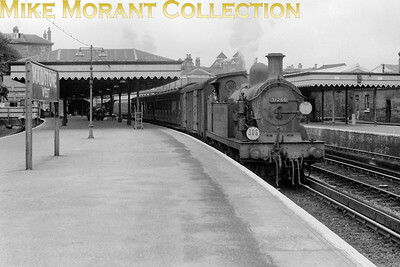 31177 at Westerham in 1958. 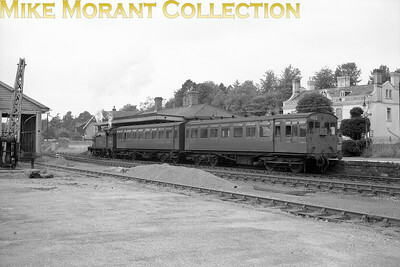 The Maunsell push-pull set is no. 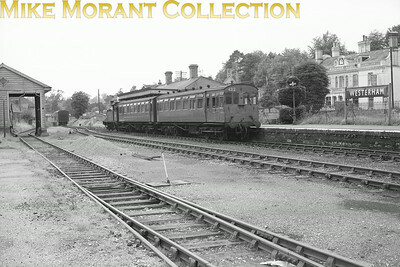 482 comprising former SECR railcars with stock numbers 915 (formerly 5581) and 3583. 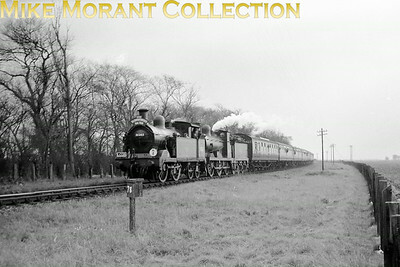 LCGB: The Kentish Venturer (Farewell To Steam) 25/2/62 An all SECR double-header at New Romney with Wainwright 'H' class 0-4-4T no. 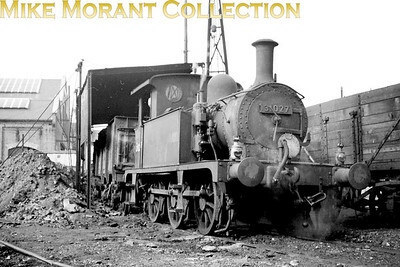 31263 as pilot and 'C' class 0-6-0 no. 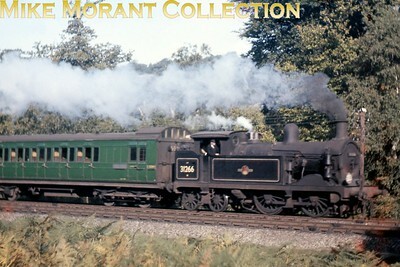 31690 as the train engine. 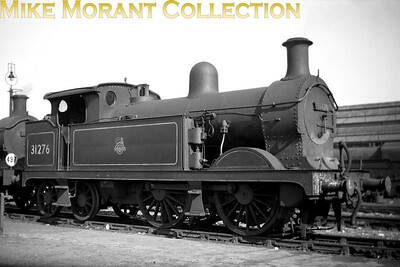 SECR Wainwright designed 'H' class 0-4-4T no. 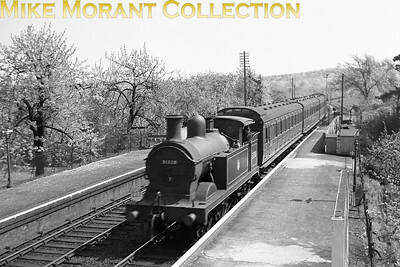 31263 about to enter a tunnel whilst in charge of a push-pull set. 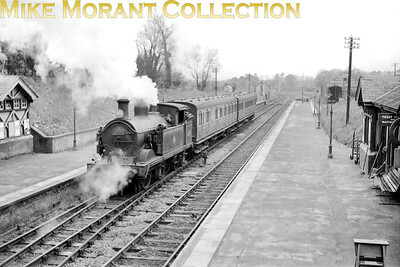 The location was unknown to me but I had a feeling that this train is an Oxted to Tunbridge Wells West working which Alan Goodwin has suggested is the case and that the most likely location is from inside Little Browns tunnel where the line passes under the South Eastern's Tonbridge to Redhill route just north of Edenbridge.